The youth of St John's are very active in our Parish, including sending a large number of youth helpers with the Diocese of Paisley Lourdes pilgrimage every year as well as joining in World Youth Day celebrations and many other events. 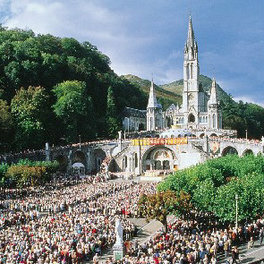 This year's pilgrimage leaves on Thursday 28th June and returns on Friday 6th July. WYD 2019 is hosted by Panama, from 22nd to 29th January 2019. The Youth Team regularly organise fundraising activities to help offset costs.